1979 (22 Mar) Italiana. 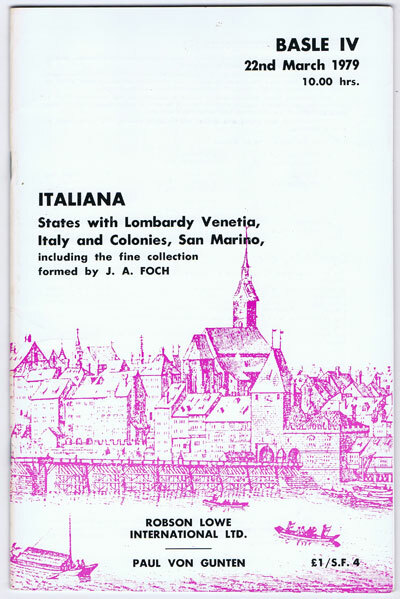 States with Lombardy Venetia, Italy and Colonies, San Marino. 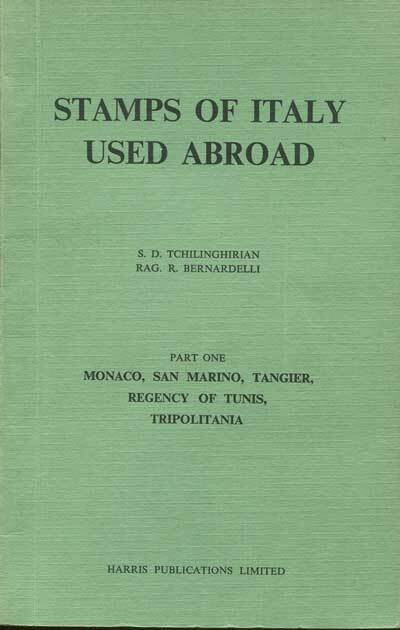 - Including the collection fromed by J.A. Foch. 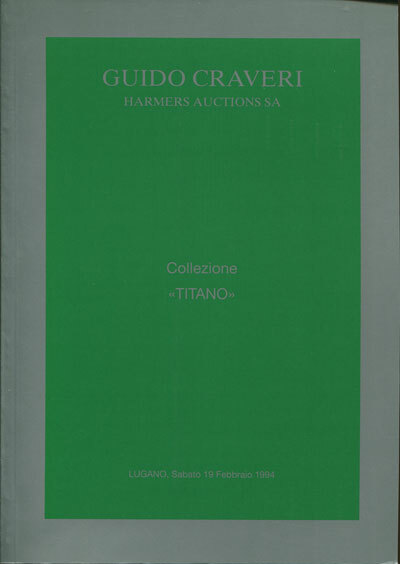 1994 (19 Feb) Titano collection of San Marino. 38 lots of classic covers all illustrated in colour. 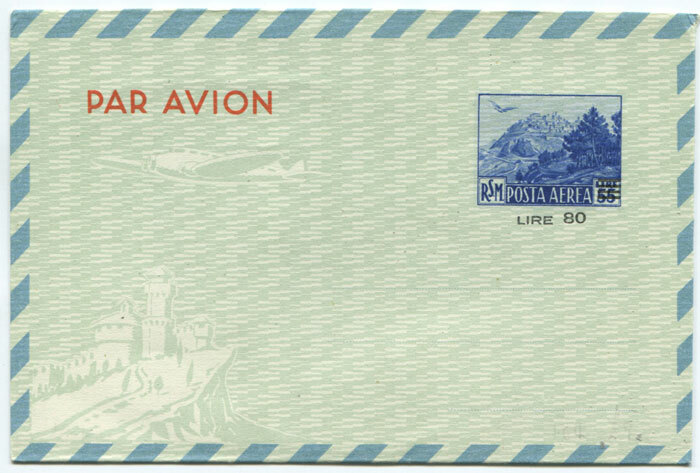 1951 San Marino 80 lire on 55 lire postal stationery air letter (H/G LF4) fine unused.